Last edited by Deewana; 08-28-2013 at 10:02 AM. Last edited by Deewana; 11-20-2012 at 05:47 AM. Last edited by Deewana; 10-23-2012 at 11:53 AM. Last edited by Deewana; 10-23-2012 at 12:06 PM. 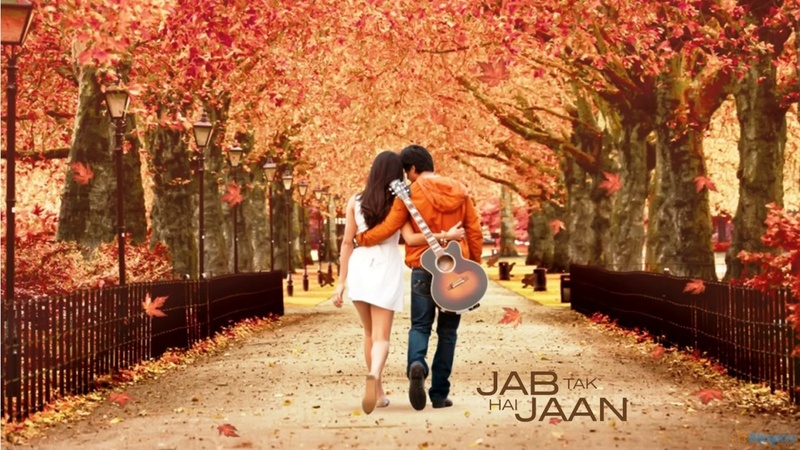 Yash Chopra â€“ the stalwart dons the directorâ€™s cap again! No article or discussion on Hindi film industry is complete without mentioning the contribution of Yash Chopra. The name itself stands testimony to the entire genre of romantic films in India. He made mustard fields look ethereal and saree look sensuous. He made Switzerland a believable dream and he made weddings look vibrant. Yash Chopra started his career in early 60s and has now come a long way under the flagship of the magnificent Yash Raj Films. It is the dream of every Bollywood debutante to be a part of this banner. The banner declares, â€˜you have arrivedâ€™. The banner has been the launching pad for several actors, music directors, dialogue writers and directors. It is the internship platform for various assistant directors to learn the tricks of the trade from the mecca itself. Yash Chopra has given one of the masterpieces of the industry in the past. His production banner gave us films with strong scripts and memorable screenplays. As a director he gave us the legendary Waqt (1965), Daag (1973), Deewar (1975). These films are quite in contrast to his later releases. He moved to romantic genre which came out live in Silsila (1981), Chandni (1989), Lamhe (1991). The quality of all these movies has been the unforgettable dialogues and strong central characters. The heroines looked perfect with painted lips and chiffon sarees and were the new dreamgirls. Be it location, cinematography, art direction or costumes every aspect of a Yash Raj movie has been exclusive and distinguished. The last time he donned the cap of director was with Veer-Zaara (2004). The audience has been waiting for baited breath for his next directorial venture that will star the fresh jodi of Shahrukh and Katrina. Anushkha Sharma is rumoured to have a pivotal role as well. AR Rahman will give the music to this romantic movie with lyrics penned by Gulzaar Sahab. Hereâ€™s wishing this stalwart good luck and may the audience get to enjoy more and more of his work. Esha Deol in Yash Chopra's next? There's a rumour doing the rounds that Esha Deol [ Images ] will be a part of Yash Chopra's [ Images ] next directorial venture which stars Shah Rukh Khan [ Images ], Katrina Kaif [ Images ] and Anushka Sharma [ Images ]. Apparently, Yash Chopra decided on Esha after he saw her in Tell Me O Kkhuda. Yash Chopra has a long-standing bonding with Hema Malini [ Images ]. She was part of his film Trishul and then again in Veer-Zaara. Esha got a major break in Yash Raj's Dhoom. When contacted, Esha's mother Hema Malini said, "Yashji did see Tell Me O Kkhuda and really liked Esha's performance. He was kind enough to call up and say how much he liked the film and Esha." While reliable sources insist that Esha is a part of Chopra's next directorial venture, Yash Raj's official spokesperson denied it. The Ra.One blitzkrieg has not dampened Hema Malini's spirit. "We were not looking at a 2,000-print release of our film. Nor did we need to recover money to the tune of Rs 200 crores to make a profit, like Ra.one did. I'd be safe if Tell Me O Kkhuda makes 25 crores. It's a much smaller film than Ra.One, and so we were not worried about the number of prints Shah Rukh has put out. We knew all along Ra.One was a bigger film." November 01, 2011, (Sawf News) - Shah Rukh Khan's rather bizarre film, Ra.One, hasn't got him licking his wounds from a BO beating that it deserved, thanks to the hype that accompanied its launch, but it sure seems to have sobered him up. Shah Rukh will go back to basics with his next project, a headlining role in Yash Chopra directed romance drama that will feature lyrics penned by poet Gulzar and music scored by Oscar winner AR Rahman. In a television interview, Shah Rukh significantly does not list a Ra.One sequel amidst his other upcoming projects that include films by Rohit Shetty, Anurag Kashyap and Vishal Bhardwaj, all in early stages of planning.